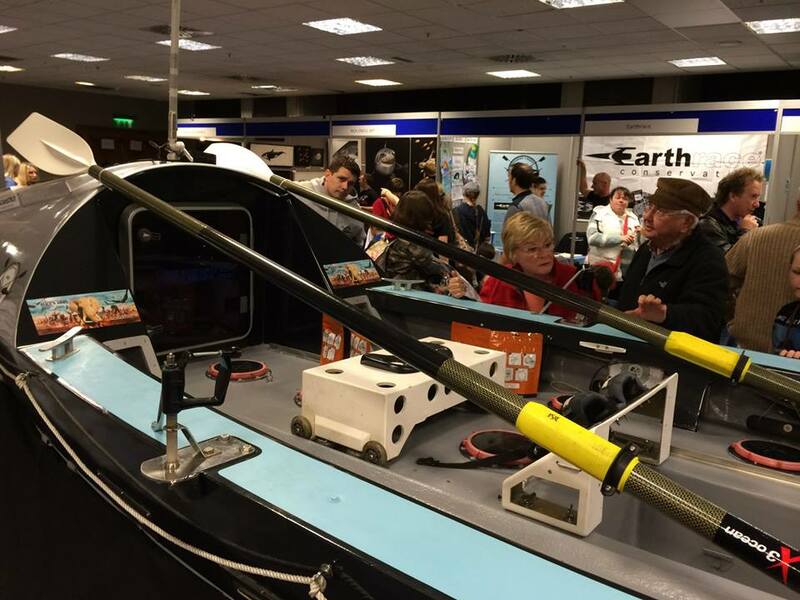 Bojangles was purchased from ocean rowing legend Mick Dawson in 2012. Mick built her from scratch and she is one of the strongest boats in the fleet. Mick successfully skippered her across the Pacific from Japan to San Francisco, a journey that took some 6 months - the first ocean rowing boat in the world to complete this route. She was originally intended to go back across the Pacific in 2014, from Monterey to Hawaii, however, we were unfortunately hit by some very bad weather which was impossible to row against as a solo, and the hardest decision was taken, to end the attempt and come back to shore. Little did we realise that this was just the beginning of another adventure in itself! I was rescued by a support vessel, but in heavy seas, the tow rope to Bojangles snapped, and the skipper was quite rightly, not willing to go back for her as my health was his priority, and he wanted to get me back to shore safely. Bo was left adrift. As she had become so precious to us, we were not going to leave her out there, so with huge thanks to Pete Bethune of Earthrace, we were linked up with a local shark research boat, and her incredible Captain, Chris Wade. This guy was just as determined as us to get her back, and to cut a very long story short, we headed back out to sea aboard the Sea Watch Shark Boat, located her 200 miles offshore thanks to co-ordinates being sent from Pete in New Zealand, Peggy of Monterey Marine Life Studies, and the long suffering Sabine, and we got her! Myself and Captain Chris Wade after a successful rescue mission!